Serving Colorado Springs, Falcon, Castle Rock and surrounding areas. I provide a personalized service that begins with a consultation and ends with a collection of memories that last a lifetime. Invest in high quality displays and keepsakes, created just for your family. It’s the choice you’ll always be grateful you made. My portrait sessions take place everywhere and anywhere. From the gorgeous mountain tops to the cities you love. I will capture your family portraits according to your family’s style, taste and home decor . Whether you decide on a more formal look or you prefer a more casual scene… the possibilities are endless and that is why I always start the process with a design consultation. I have many clients that prefer the comfort of their own backyard or porch. These home portrait sessions have many benefits after all… “Home is where the heart is.” A sweet, sentimental place. Extended family and/or beloved pets are easy to include in these sessions. I do request our initial consultation take place at your home so that I can map out the session with the best angles and locations. Don’t settle for the standard year book photo. Invest in a beautiful portrait that will be displayed for lifetimes to come. This is a special time in your families life and I want to make sure you have that incredible milestone frozen in time. This is also a perfect time to combine the High School Senior Portrait with family portraits. During this meeting, we will discuss your goals for our time together. Newborn Portraits: We will cover everything from ideas for announcement cards to photos to display in the nursery, color coordinating the outfits and backdrop to best fit with your designs. Family Portraits: We will go over where these photos will be displayed to ensure we choose the perfect wardrobe colors and the most ideal outdoor location. High School Senior Portraits: Whether the greatest need is a large wall portrait or an album to capture multiple images, we will plan and personalize all the details. 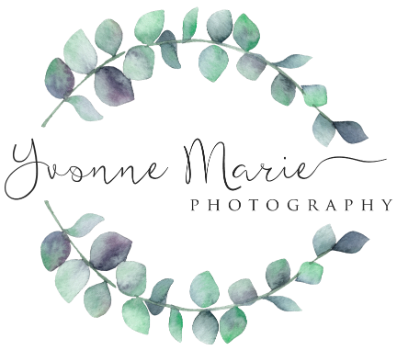 Whatever your photography needs, I am here to personalize your plan! Now that we have enjoyed your personalized photoshoot, we are on to the most exciting of our sessions, the viewing of your beautiful photos. We will schedule this session 2 weeks after your photoshoot. When we make this appointment, it is required that all decision makers are present for the reveal session. Expect this appointment to last about 1 hour. We will view all the edited photos (typically 25 to 30 images) from your photo session. I then will walk you through the products and thoroughly explain your options. I have personally hand selected all the vendors I utilize to ensure only the highest quality products are offered to you. I want you to see and touch your options before ordering to allow you to confidently choose your products. I bring samples of albums, folio boxes, canvas', acrylics, metal prints and more. We then will go over where you would like your art to be displayed. I will virtually design the scene, allowing us to determine the best sizes and products for that location. Viewing this customized virtual design allows you to see a preview of the product in your home, taking the guess work out of it! Along with wall art design, I offer a great selection of photo albums that we will discuss during this session. This meeting is all about choosing the best products for both your style and your budget. I love to make this a simple, enjoyable process for all my clients. Final decisions and payments are made during the reveal session. Online galleries are not available. Once the decisions are made during the reveal session, I work directly with the vendors on your behalf. I inspect each photo and piece of art to verify it is exactly what you ordered. I personally deliver your products and have them hung on your walls. Customer satisfaction is my number one priority during the entirety of our engagement. It is my honor to personally customize your photography experience from start to finish, providing you with portraits to treasure and share. For questions or to schedule your appointment today!